Brownies are probably one of my all-time favorite desserts. I love them a little crispy, a little chewy, and very chocolatey. 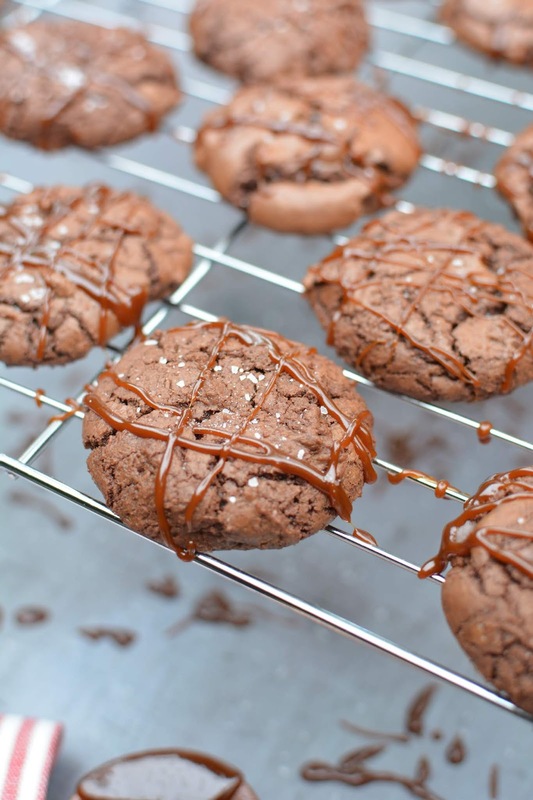 Adding salted caramel makes them extra indulgent and oh-so-delicious. 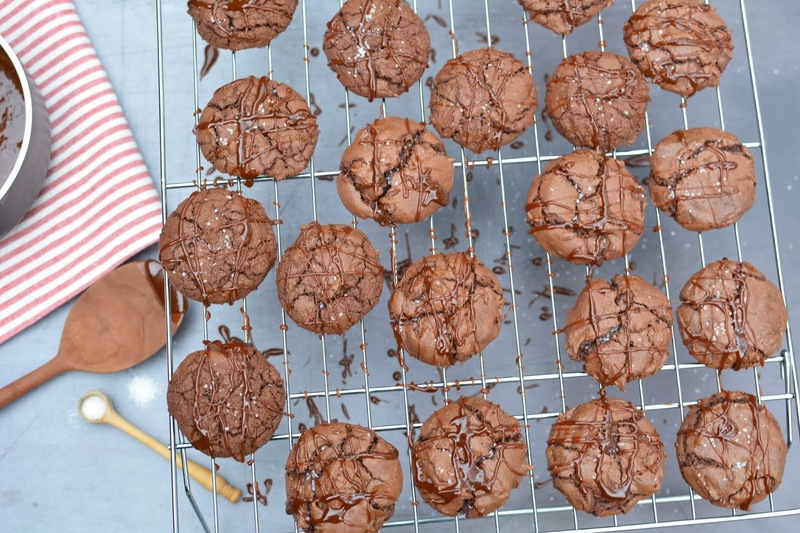 These cookies are also very easy to make (compared to traditional brownies) and taste just as good. 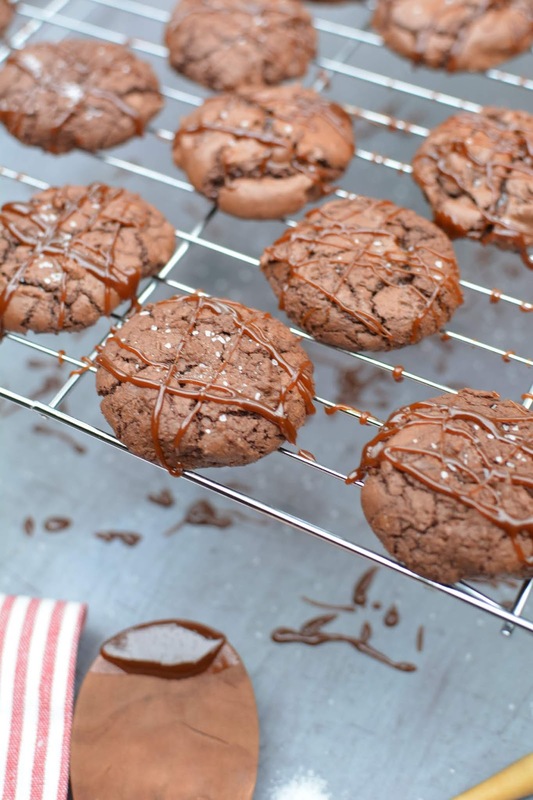 The addition of the salted caramel is the perfect accompaniment to the rich chocolate. Use a cookie scoop to form the cookies – invert the scoop just above the baking sheets, spacing cookies 3 inches apart. Bake, rotating pans halfway through, for 12 to 14 minutes, until tops are shiny and crackly. 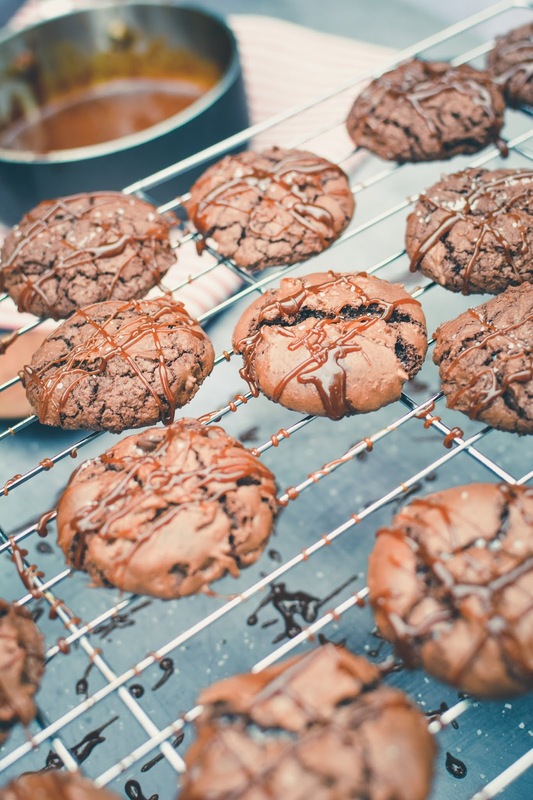 Remove from oven and let cookies cool for 10 minutes on baking sheets, then transfer to a wire rack to cool completely. Top with the salted caramel and sprinkle a small amount of finishing salt before serving. In a medium saucepan combine the brown sugar, butter, and cream and bring to a boil. Stir it every so often so that it doesn't burn. Cook for approximately 5 minutes until the mixture has thickened. Remove from the heat and stir in the vanilla and salt. Set aside to cool slightly. Garnish with flaky sea salt.